Job Purpose: This position aims at supporting the Centre to engage the public and private sectors to dialogue and collaborate in creating an enabling environment for farmers and private sector partners through policy and regulatory framework. This falls under the implementation of Work stream 2 of the SAGCOT Centre i.e. (Policy and Enabling Environment) involving a broader engagement of the Government of Tanzania and Development Partners on the same. Job Purpose: The Cluster Manager will provide technical leadership and oversight to allocated Cluster. Under the supervision of Head of Cluster and Partnership Development, the CM will oversee all cluster technical staff and ensure effective programme management and implementation at the cluster level. She/he will be responsible for leading a broad spectrum of activities, including strategic planning, programme management, overall program execution and evaluation, technical thought leadership and facilitation of current knowledge sharing. The Cluster Manager will assist the Head of Cluster and Partnership Development in the Implementation of Cluster Development Frameworks (CDFs) and Plans to create “functional” cluster with better integrated value chains and with actors and operations that are better linked with each other and with others outside the cluster. 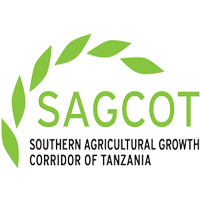 The Cluster Manager will assist the Head of Cluster and Partnership Development in the management and facilitation of strategic partnerships (value chain specific & thematic) in the SAGCOT priority Clusters. The Cluster Manager is expected to contribute to the creation of SCL’s positive image and overall credibility, notably through the application of SCL’s mandate, ethics, values and stand-point with regard to other actors.